HOUSTON (KTRK) -- Rodeo-goers should feel a little safer parking their cars at NRG Park this year because a successful crime prevention tactic is back, Harris County authorities said. 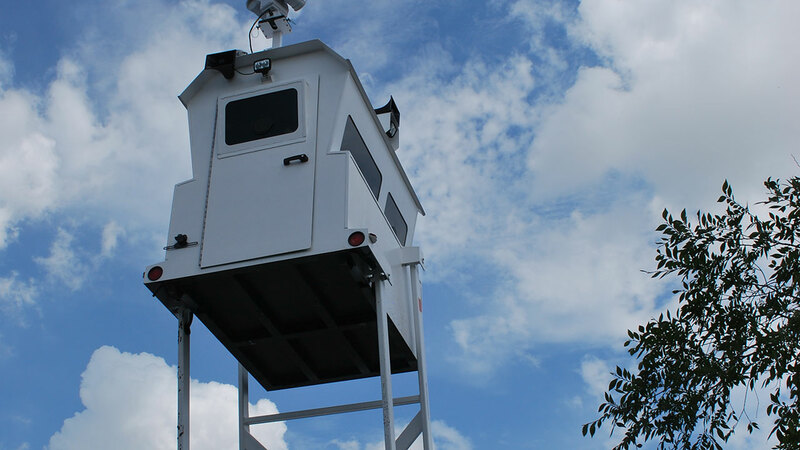 The Harris County Sheriff's Office's says its Skywatch tower is back in place for the Houston Livestock Show and Rodeo, and that means officers will be actively seeking car burglary suspects from the sky. The sheriff's office credits the 30-foot tower for the dramatic decrease in car break-ins at the rodeo. It says 34 car burglaries were reported in 2013, and when the program started last year, that number dropped to just one. "It's used at numerous events for proactive crime prevention and other patrol duties, including looking for suspects or missing persons, especially in areas that are heavily wooded or covered with brush," the Harris County Sheriff's Office said in a prepared statement. Despite the added safety measures, authorities still warn that you should never leave anything valuable inside a vehicle and to never leave doors unlocked.